UFO SIGHTINGS DAILY: Large UFO Orbiting Earth Seen On ISS Live Cam May Be Chinese Space Lab, July 2016, Video, UFO Sighting News. 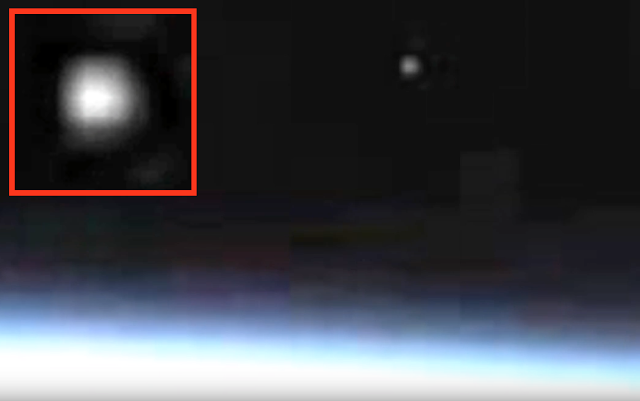 Large UFO Orbiting Earth Seen On ISS Live Cam May Be Chinese Space Lab, July 2016, Video, UFO Sighting News. An excellent find by Streetcap1 of Youtube. And is fantastic proof that the space station is being followed by alien craft. Remember a ufo is an unidentified flying object. This could well be a meteor or the like. What made it interesting was the camera cut off when the ufo seemed to stop. Streetcap1.